Reverend Sereima Lomaloma is an advocate for gender equality and the elimination of violence against women and children in Fiji and the Pacific, advocating through the Anglican church, House of Sarah and and other faith-based organisations since the early 2000s. 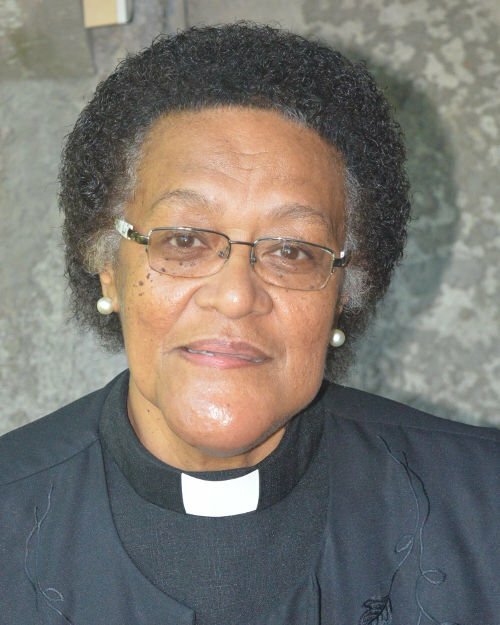 For this portrait, she told the SPC that “It’s time for the church to also speak out against the injustices in society, violence in all its forms and especially gender-based violence.” Indeed, in 2015, Reverend Lomaloma initiated a change in the membership of the highest decision-making body in the Anglican Diocese of Polynesia that resulted in equal representation between women and men in synod (parliament of the church). Two years prior in 2013, she had made another significant contribution by influencing the church to adopt a policy on zero tolerance on violence against women and children. Since then the Anglican Diocese of Polynesia has been at the forefront of speaking out against abuse, gender-based violence and discrimination. Every year since 2014 the church has set aside a Sunday as Break the Silence Sunday to talk and create more awareness on gender-based violence in American Samoa, Fiji, New Zealand, Samoa and Tonga. The initiative picked up momentum last year when the Fiji Council of Churches also joined in speaking against gender-based violence. Sixty-four-year-old Reverend Lomaloma is a founding member of the House of Sarah, a grant recipient of UN Women’s Pacific Regional Ending Violence against Women Facility Fund (Pacific Fund) on a project titled ‘Implementation Strategy of the “Zero Tolerance” Motion in Church Communities’. She is a member of the Advisory Board of the Australian government’s Pacific Women Shaping Pacific Development program and was recently appointed to the Anglican Communion’s Anglican Safe Church Commission. This portrait of Reverend Sereima Lomaloma was first published by the Pacific Community for the 70 Inspiring Women campaign, it is reproduced here (with some modifications of our own) with their permission.